Apart from smelling very good indeed, Bertrand Duchaufour’s new Sartorial for Penhaligon’s is a remarkable piece of work because it is also a reflection on perfumery – a demonstration of the theoretical self-awareness that sets the artist apart from craftsman. If you’re an artist, you don’t merely apply your know-how to creating variations on known genres or forms: you situate your work within the history of your art by what you reject, what you retain, what you revive, what you displace. In the case of Sartorial, what Bertrand Duchaufour performs is what is called in French a mise en abyme: an untranslatable expression that means, more or less, a story within a story, the former reflecting on/mirroring the latter. In the framing story, the English house of Penhaligon’s asks Bertrand Duchaufour to compose a masculine fragrance inspired by another English institution: Savile Row. Emily Maben, Penhaligon’s head of marketing, suggests he visits the bespoke tailor Norton & Sons, whose client roster can boast such icons as Winston Churchill, Cary Grant, Fred Astaire and King Juan Carlos of Spain. The obvious choice for a scent inspired by the crucible of masculine elegance can only be the archetype of the masculine fragrance: the fougère. But the template Bertrand Duchaufour has picked is, humorously, the polar opposite of elegance: the big, bad Brut by Fabergé, perhaps the most mass-market and clichéd of masculine scents. Downloading hairy-chested virility into exquisitely razor-edged tailoring is pretty much like putting Cockney Michael Caine in a Savile Row suit. It’s been done, and it works. So: another story within the story, the 60s downmarket version of virility acting, perhaps, as a quote of the Swinging London dandies photographed by David Bailey (hence the above illustration). Conceptually, Sartorial becomes even more interesting – in fact, downright fascinating – when you consider the radical displacement Bertrand Duchaufour has carried out on the fougère, the oldest modern fragrance family, since Houbigant’s 1882 Fougère Royale was the first to integrate a synthetic material, coumarin, which along with lavender, oakmoss, patchouli and geranium, forms the scaffolding of the fougère family. More significantly, despite the fact that its name refers to a plant (the fern), it was the first abstract fragrance – cutting loose from natural representation thanks to the use of synthetics was precisely what tipped perfume-making over into becoming both an industry and an art. Bertrand Duchaufour’s delightfully subversive gesture is to reintroduce figuration and narration into the very template of abstraction in perfumery, by leveraging a culture acquired through his work for L’Artisan Parfumeur: that of the olfactory travel sketchbook. He took in the subdued but chaotic smell of Norton & Sons; parsed the various olfactory sources; pried apart, framed and edited them to compose something that is both recognizably a fougère, and the atmosphere of a bespoke tailor’s shop. In other words, Duchaufour uses one ready-made (the fougère) to make sense of another (Norton & Sons). By overlaying two institutions of masculine elegance as though he were superimposing tracing papers bearing the shape of two olfactory identities, he manages to displace both. To destabilize the clichés. The notes in Sartorial work on three levels: as representations of the place of inspiration, as quotes from the history of perfumery and as elements of a distinctively Duchaufourian composition. Lavender, the main axis of Sartorial along with patchouli, is one of the building blocks of fougère, but also a sign of cleanliness (its name comes from the Latin lavare, washing, as it was used by laundresses). This is why it became a specifically masculine note in the 19th century: gentlemen couldn’t smell seductive, but it was acceptable for them to smell clean. It is also a sign of Englishness: the fact that what is possibly the first scent to be specifically marketed to men is Atkinson’s 1837 English Lavender adds another story-within-the-story. In Sartorial, the lavender top note acts not only as a sign of masculinity, cleanliness and Englishness but also as a figurative element: set in very strong ozonic-metallic effects – their sheer brutality acting as a quote of the Brut template --, it conjures the steamy smell of hot irons on tweed but also steel shears and greased sewing machines: the metallic greasiness is worked in with specific aldehydes and salicylates but also by using the slightly rancid oil effect of nutmeg. The old, dusty leather of club chairs and mounted trophies is created by playing on the dust-like facets of pepper – the spices in Sartorial are used not as representations of spices but for their specific olfactory qualities – and gurjum, which also offers medicinal and woody facets. Those woody facets, strengthened by patchouli and cedar, blend in with bees wax to conjure the polished floors and cupboards of the shop. The smell of old wood is boosted by one of Bertrand Duchaufour’s signature materials, Symrise’s Corps Racine (you can smell it in Eau d’Italie’s Bois d’Ombrie), with its rooty, green, pea pod/green pepper facets: through its earthy, almost clayey effects, the Corps Racine also serves to conjure the smell of the chalk used to trace cutting lines on cloth. The fougère structure is picked up by a patchouli and oakmoss base; tobacco and tea effects have been worked in as additional English quotes. The result is a highly contrasted composition: the tension between the ozonic metallic effects, the aromatic lavender, the dusty leather and wood notes and the smooth fatty warmth of bees wax literally creates a sense of space around its wearer – the olfactory equivalent of quadraphonic audio. It is also an intensely saturated product, not only from an olfactory standpoint but also on a semiotic level: fougère + lavender + Savile Row + Englishness basically add up to saying “Penhaligon’s” – their shops are actually decorated in a very similar style to the traditional English bespoke tailors’ – thus neatly tying in the scent with the brand identity. In a sea of hackneyed, off-the-rack masculine scents, Sartorial’s combination of toughness and elegance – again, think Michael Caine rather than upper-class twit or Brut-splashed lout – is an olfactory lifebuoy. It is also an impeccable demonstration of the way a perfumer can fulfil the terms of a commission while keeping to his own, and bring something new to the conversation. One would expect no less from its author, and mainstream brands would do well to pay attention. 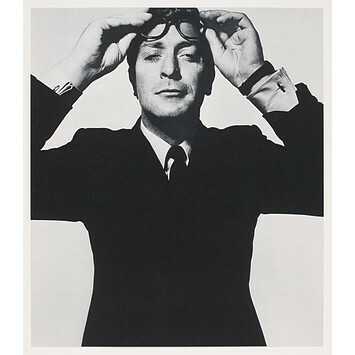 Illustration: Michael Caine photographed by David Bailey in 1965. The scent sounds amazing, and your review is fantastic! Brian, it is (I mean the scent). I hate the normal masculine fougère, both on myself and on men, and I wore this with pleasure. Denyse, this was already one of the most highly-anticipated masculines of the pre-Christmas release schedule, but I think your review has just pushed its status into the stratosphere. I cannot wait to try it. Thank you for making it sound so enticing to someone for whom a classic fougere has never been the No. 1 scent of choice. I think it's generally accepted that Chanel's Bleu has been a major let down, but perhaps we'll all be appeased by the skills of M Duchaufour? Persolaise, I doubt it'll be to everyone's liking, because it's a fragrance with very strong options, unlike the consensus-seeking Bleu. Trouble is they're not competing on the same field since Bleu can be found everywhere, and it's got the firepower of Chanel behind it. This is what the mainstream should be doing, but as everyone's afraid of taking risks in case they're made responsible for a flop... You get things like Bleu. What a wonderful review, denyse! Your writing immerses the reader in the lyrical and analytical, which is so hard to do. Precise, succinct and with a breath of sensuality that brings the subject matter to life. You have such a gift. I am waiting with bated breath to buy your book. Dea, in this case I find that the perfume dictated its own reading because of its intelligence. your description is incredible! thanks for bringing it to my attention! Bee, thanks for dropping by to comment! Sartorial will be coming out in a couple of weeks, I think... But as the testers are out, I couldn't resist writing it up before the official launch! Mr. Duchaufour undoubtedly has produced a string of original fragrances, but I find the majority tainted by a peculiar woody-vinegar note ( everything from the new Nuit de Tubereuse to the fan-favorite Dzongkha, and including most of his work for L'Artisan and Eau d'Italie ). The only fragrance of his I have no trouble wearing is also one I don't find at all interesting ( Amaranthine ). Sugandaraja, I'm trying to figure out what you read as vinegar... He often uses those green pepper/snapped pea pod notes... Maybe that's it, in some combination with some other material? The mere thought of fougère usually makes my skin crawl, and Sartorial may lean too much on the masculine side for me to make it a staple, but I actually enjoyed wearing it while test-driving it on and off for a few days. It's certainly not for everyone, but it's undeniably fascinating. Could be! The only green fragrance I know by him is Magnolia Romana; if there is a green note in his others it just may smell like vinegar to me. I associate snap-pea smell with whatever aromachemical/s is/are used in Carnal Flower, which doesn't trouble my nose. The worst offenders are Bois d'Ombrie ( which I once described as salsa in a wallet ) and Dzongkha. Even Paestum Rose, which I found agreeable at first, began to get on my wick with a certain apple-cider vinegar quality. All I know is that I'm not alone on this - a few other folks on Basenotes have a bad reaction to the "Duchaufourade". Sugandaraja, as far as I can tell, there was a series of materials BD used quite a lot for a while, though not in his recent florals: Corps Racine, carrot CO2 (for iris effects), davana and celery. The effect is somewhat vegetable/savoury. That may be what you dislike. I don't get that vibe at all from Sartorial and though BD is still using some of those materials, I find his recent work to be moving away from his former register, including the new Frapin and L'Artisan. Anonymous, I must confess I feel the same way: I enjoy BD's pre-2009 work, but never wore it, perhaps for the same reasons. But in the past year he's come up with a different register and I've become a convert. Hello, Denyse. What a masterful review of what sounds like a fascinating fragrance. You've inspired me to search it out, in spite of my difficult relationship with classic masculine fougères. At some point during my childhood, my father switched from Old Spice to Brut, which I always thought was a huge mistake. No amount of lobbying on my part could get him to switch back (although in the last year, I finally convinced him to switch to Hermès Eau d'Orange Verte). There was always something about that lavender-coumarin accord that I found loud and crass. It's made it difficult to this day for me to appreciate masculine fougères (with a few rare exceptions -- Pascal Morabito's Or Black, with its smoky tea effect, comes to mind). That said, I love the idea of a subverted fougère, especially one that seems, as you describe it, to reference multiple "frames" simultaneously -- this mise en abyme. For some reason, the idea of subverted Savile Row suits makes me think of Thom Browne. But Sartorial is well worth testing because it's enough of a displacement of the style. D, Your use of the word "displacement" made me think about "différance" -- in this case, the chain of never-quite-exhausted masculine signifiers that are simultaneously invoked, displaced, deferred in the construction of a "masculine" fragrance. It's by virtue of those displacements and dissonances (e.g. the elegant masculinity of the Savile Row suit undermined by the brutish masculinity of Brut) that masculinity itself can be subverted. notion of the masculine implodes under the accumulated pressure of masculine signs. Which may be why this could work for a woman. it's stunning isn't it- and I've only tried it on paper- I am yet to smell it on skin. They are on fire at the moment and so is Duchafour. Rose, I'm glad at least one person reading this post has tested it! It's always a bit frustrating to write about something that's not out yet, though I believe there are testers under the counters already. And, yes, definitely Penhaligon's are turning into significant players thanks to their collaboration with BD. Okay, I've finally been able to try this for myself. I can see where you're coming from with your review, Denyse, but in terms of a more emotional response, I was left a bit disappointed. I guess part of the problem is that I tend not to get excited by fougeres, although I can appreciate that M Duchaufour has constructed this particular one very cleverly. Anyway, it'll be interesting to see if it's a success for Penhaligon's. Persolaise, I was discussing this with a friend and we were saying that especially for male fragrance lovers, fougères may awaken a certain type of rejection -- after all, it's what you gentlemen wanted to get away from to start with, in a way... I've found that by digging into the machine room it became much more interesting, but I'm not the target so the genre doesn't have strong connotations for me. I think you may well have something there, Denyse: this is a horrible generalisation, but most men are probably happy to spray themselves with whatever has clear connotations of 'man', whereas perfume-loving men probably want to spray themselves with whatever has connotations of originality. But then, having said that, even though I wouldn't call myself a fougere fan, I do own Azzaro and Rive Gauche Pour Homme and there are times when I enjoy wearing them for their old-school, hairy-chested glory. Maybe I would've seen Sartorial as more daring and enjoyable if it had thrown decorum to the wind and really plunged headlong into Brut territory? Maybe it's trying too hard to be a clever-clever example of a genre that doesn't lend itself to being clever-clever? Maybe we're just over-intellectualising this juice??? Persolaise, you may have something there -- about our over-intellectualizing... In a way, I consider the perfumes I write about as springboards for writing, so I'll happily indulge in my intellectual bent!